The city of Santa Fe has been well established for decades as a vibrant center for the arts and culture. It has frequently been ranked as a top arts destination for travelers around the world, and is home to the 3rd largest arts market as well. Throughout town, you’ll find over 300 beautiful and unique art galleries and art dealers to browse, as well as museums relating the history and culture of this diverse area throughout its centuries of existence. The city of Santa Fe is inspiring in its beauty, and that is directly translated into the amazing world of art that you’ll discover here. This June, join us for two art-filled weekends on the Santa Fe Studio Tour. 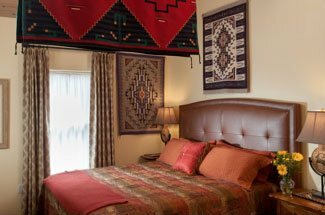 Book your room at our luxurious Santa Fe Bed and Breakfast today, and experience Santa Fe’s art scene first hand. The Santa Fe Studio Tour features a free self-guided tour that highlights the work of 44 open art studios, and over 68 local artists. Visitors in town for the Studio Tour can choose any or all of the studios to visit. For art lovers around the world, this is a wonderful time to visit Santa Fe. Not only will you have unprecedented access to some of these studios, but many artists give demonstrations and share techniques and philosophies with visitors during these times. This year, the Santa Fe Studio Tour kicks off on June 19th with the Artists Reception at Santa Fe University Art and Design School. 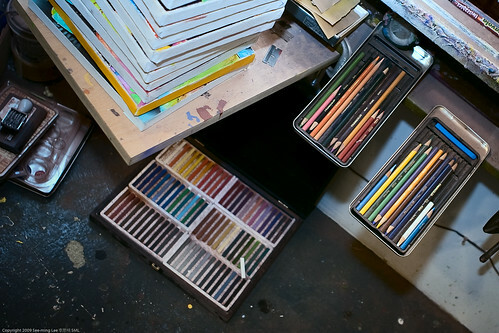 For the following two weekends, all art studios on the tour will be open from 10am-5pm each day. Along the way, visitors will discover a variety of unique and original art, including paintings, photography, sculpture, jewelry, ceramics and other unique pieces. If you’re unsure of where to start, head to the Preview Gallery during that first weekend, located at the Santa Fe University Art and Design School. Here, you’ll have the opportunity to view all the artists’ work and map out your favorite studios for your weekend tour. Studio Tours are an exciting time of year to be in Santa Fe. 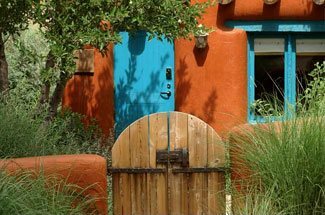 They are a wonderful opportunity for immersion into the artistic world of Santa Fe, where you can meet acclaimed area artists, see where they work, and learn about their creative process. Visit artists you already know and love, or take the time to discover the many new up-and-coming artists of Santa Fe. It’s also the perfect opportunity to purchase the unique piece of art you’ve been waiting for. Book your room at our Bed and Breakfast today, and get ready to enjoy the charming towns and studios on the tour, as well as the stunning views and vistas as you move from place to place experiencing these incredible works of art.